Please welcome the über-cool blogger from Chic 'n Cheap Living who is a super-sweet-supportive blogger friend. Today, she fills in for me while I continue to take my time to unwind and prepare to spill the beans from my daily drama life, soon [:P]. Cultural fix on the UES The Met has something for everyone - from ancient near eastern art to classic American photography. Yes it's huge, but you can also pick and choose the exhibits that interest you most. I used to work for a corporation that was a significant supporter of the Met so I also had complimentary admission (so you may want to check if your company has a cultural affiliation with a museum too). The Met also holds a special place in my heart because one of my first dates with Mr. Spend 'n Chomp was to the Nan Kempner exhibit at the Costume Institute. He demonstrated his patience and flexibility early on as we (I) gawked and envisioned myself floating around in this YSL gown. ♥ and couture can definitely go together! Strolling on the High Line/Meatpacking District DVF, Matthew Williamson, Stella McCartney, Scoop - this is a shopping haven set among some of New York's older cobblestoned streets (and there are a few good bakeries and salons nearby too). 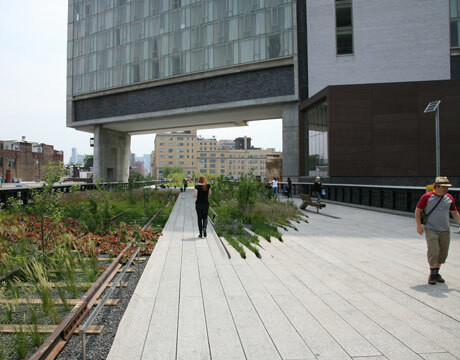 I also want to keep on checking the High Line (elevated old train tracks that have been reconstructed into a park that seamlessly integrates with modern lighting and architectural elements.) The High Line is steadily expanding further uptown so it'd be nice to see how the park progresses and transforms at different points. This is a great place to look through the tall glass panes onto 9th avenue and mentally escape the urban jungle of Manhattan for just a few moments. Munching on Pala pizza on the LES I love pizza. No, I mean, LOVE pizza. But it has to be good pizza of course. I want fresh toppings, a great crust with the right amount of chew and crunch, and a mouth watering sauce. I grew up with the classic foldover NYC pizza. But I quickly converted to pizza by the foot after eating at Pala. My standbys include a three mushroom pizza, bufala cruda (mozzarella, tomato, and basil), and the zucca (pancetta, smoked scamorza, and pumpkin sauce). I try to go every time I'm back and even met bloggers The Alternative Wife and Very Married there. The LES is also home to great boutiques. I love to peruse Hayden Harnett and discovered Yumi Kim is nearby as well. Great food and shopping - what else could you want? What are the top 3 in your city? Btw, it's nearing lunch here, I am not so much of a pizza person but I LOVE the pic!! Good to know more abt NYC. Interesting things to highlight...and yes i love Pizza too!! :) There r too many good things abt Mumbai but i m not going to talk about it now. Great guest post. I love finding out about other places. NY sounds amazing. The Pizza Place looks fab. 1. A walk around Strand Road - watching the horses practise on the Race Course, the lights of the famous Eden Gardens Stadium towering over the city, junk food & ice-cream at Babughat & of course, enjoying the twilight at Princep Ghat with boats returning to the shores of the river Ganga just below the monumental 2nd Hooghly Bridge!! Simply breathtaking!!! 2. New Market (or should I say Hogg Market as it was known back when the British used to rule India) - in spite of the whole new crop of malls & designer outlets mushrooming up around the city, this old shopping haunt has not lost its charm! Be it the crammed li'l shops selling everything from flowers, gifts & stationary to clothes, shoes & even utensils; or the decades-old bakeries selling freshly-baked, mouthwatering delicacies; or the rows of street stalls selling all types of junk food, vying with each other to grab the hungry shoppers' attention.......this place sure is a must-visit for everybody who has been here in Kolkata. 3. Victoria Memorial - Of course, you haven't seen Kolkata if you haven't seen this famous piece of British architecture. The marble monument was built in the honor of Queen Victoria & now houses a museum & ample corners & benches for lovers!! A picnic in the lovely green lawns of the memorial is a perfect way of spending a lazy winter afternoon. Looks like Tanvii's having a fabulous time out here in India!!! 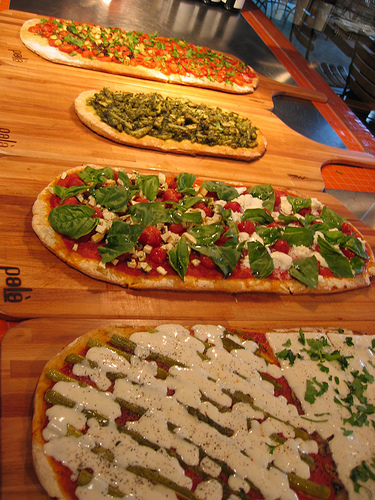 I'm a pizzaholic so these pizza pix have got my stomach grumbling with hunger! Pizza looks sooo good. Great guest post! Miss ya Tanvi! uhmmmm. i'm pretty sure it's illegal to post pictures of such divine looking pizzas. jerk. just kidding. not really. Love the Highline! My husband and I took a nice stroll there on our honeymoon :) It's so hard to pick my top three spots in San Francisco, but for now I'll say Alta Vista Park for the local crowd and amazing views, The Citrus Club for its huge bowls of cheap and delicious steaming noodles and Neiman Marcus at Christmas for its huge five-story tree and holiday cocktails in the Rotunda restaurant at the top. 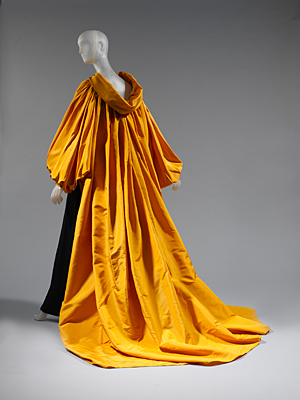 Hmm....too many to choose from.. :P I am SO in love with the orange mustard coloured cape from the Met!! Super interesting..makes me want to catch the next flight out because most of those are undiscovered!! Shopping: Dubai Mall-the largest mall in Dubai and everytime you go there, you end up discovering a new shop or rediscovering a forgotten brand. Food: Social House...international food, cosy restaurant and a nice place to read, write or catch up with friends. Other restaurants around it are great as well. Pizza..just discovered a yummy combination...add a drizzle of pesto on margherita and it tastes AMAZING!